Like AI and machine learning, predictive analysis has become a bit of an Internet buzzword in the last few years. The technology already has a wide variety of applications for marketers — predictive advertising is just one of them. 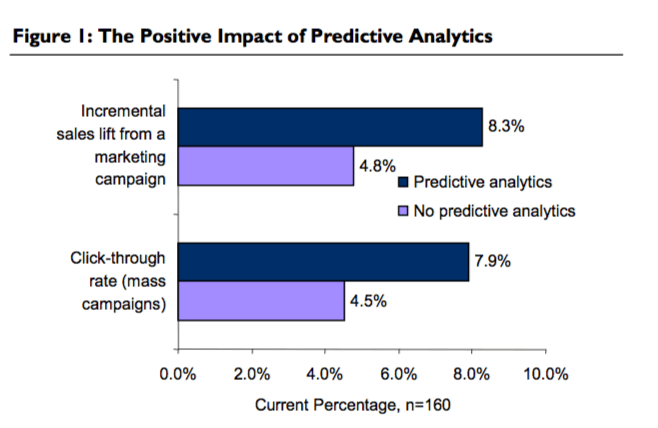 If you’re among the many who are still fuzzy about what predictive analysis is, here’s a rundown on how it’s changing the way marketers advertise today. Predictive advertising is a marketing application of predictive analysis. Predictive analysis, by definition, is the use of consumer data, artificial intelligence and statistical algorithms to identify what could happen in the future. 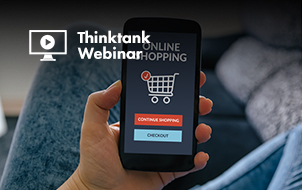 Even before the web was invented, marketers relied upon the past performance data to predict what products and marketing message might resonate with future customers. 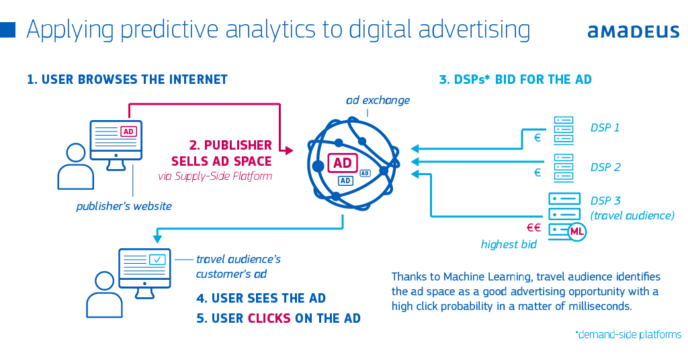 Thanks to big data, statistical models and artificial intelligence, predictive analysis can help inform ad targeting and media buying strategies. Called predictive advertising, it’s possible to identify new potential customers and target them with relevant advertising content on the right platforms at the right time. PPC managers for enterprise companies are charged with the task of delivering relevant content, driving clicks from that content, and turning those site visitors into conversions. Traditionally, all they’d have to go on is their buyer personas and understanding of past customer behavior to do this. The digital footprint consumers leave is growing exponentially. People are constantly liking and sharing content on social media, surfing the web, using location services, and allowing apps special permissions to collect data. As a whole, this data paints a rich, accurate picture of consumer interests and needs, if you know how to make sense of it. While collecting consumer data has become easier over the years, understanding what to do with it is another story. According to Forrester research, 66 percent of global marketers say their customer and marketing data comes from too many sources to make sense of it. As a result, 82 percent say that predictive marketing is essential for business success. 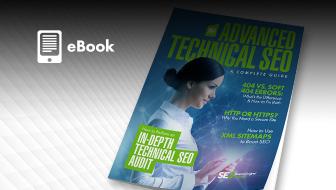 Being able to synthesize and derive actionable insights from this data is a specialized skill set that many businesses today just aren’t equipped to handle. Meanwhile, predictive advertising requires a huge amount of data to work well. Predictive advertising tools can use a distributed cloud to store and analyze billions of buying signals collected from a combination of channels, such as social media, web, email, CRM, and offline data. The more data available about your audience, the better and faster it can build accurate models. That’s right — with predictive advertising, more data doesn’t make your marketing more complicated, it makes it a lot easier. Like individuals, artificial intelligence (AI) has the ability to observe behavior over time and make predictions for future scenarios. The only difference is that AI can do this faster, using more data points, and with more accuracy than people. For example, predictive analytics can use all sorts of variables, including behavior, demographics and more, to predict future buying patterns based on past purchase behavior. Using cluster models, it’s possible to segment audiences and deliver relevant content automatically. Platforms like Amazon and Netflix use this technology all the time to cross-sell, up-sell and next-sell. 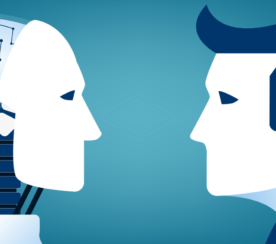 Machine learning also has the ability to make connections between distinct products and behaviors to deliver a relevant message. For example, someone who recently browsed college-size bed sheets could then be served ads for dormitory decorations. They aren’t even remotely similar products, but machine learning tools can make the connection that someone’s shopping for their college dorm and suggest various relevant products. Similarly, instead of manually making connections between related products and creating your own keyword groups, machine learning tools can use predictive analysis to do it all for you. Using hundreds or thousands of data points on individual consumers, combined with a powerful mathematical model and machine learning, predictive analytics has the power to deliver relevant ads that increase click-through rates and drive sales. Remarketing is one of the most sophisticated advertising strategies, but it has an inherent flaw: it’s reactional. You learn what products people are interested in buying based on their behavior, and then chase them down trying to convince them to purchase what they were already shopping for. What often happens is people are targeted by advertisements for a product they just purchased on another website. That’s not very valuable. Insights derived from the behavior your current customers. Potential customer profiles built from data from various channels. 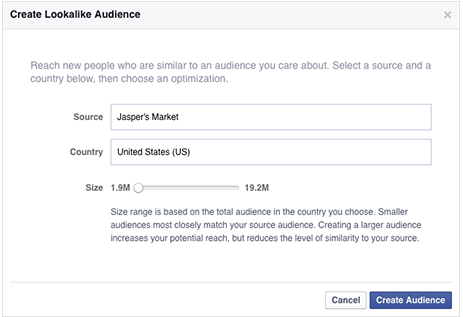 The lookalike audience capabilities of Facebook and Google advertising platforms is an example of this application of predictive analysis. Instead of targeting your current leads, it allows you to identify new audiences who haven’t made contact with your business yet but would most likely be interested in your products. While remarketing can help you capture almost-conversions, it simply can’t broaden your reach to people who’ve never made contact with your business before. In many cases, the insights generated from big data are only valuable for a limited period of time, or their value decays as time passes. 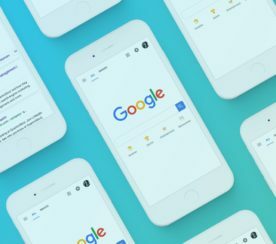 Google calls these “micro-moments,” when consumers expect brands to address their needs with real-time relevance. Predictive advertising makes it possible to gain quick insights and make appropriate changes to targeting and ad placement to get the most benefit. One prominent example is life event targeting. How could a funeral home target ads to the right people at the right time? Long-term consumer profiles wouldn’t illustrate an interest in funeral home services — this is something that people need at very specific points in their lives. Predictive advertising can help identify these key life events using real-time data analysis, and then quickly deliver appropriate advertising. Predictive advertising tools can help you quickly and fully utilize each data point to drive decisions that grow revenue and conversions. Smart bidding in Adwords is a good example of this. There’s no arguing that collecting and analyzing big data is the way of the marketing future. The more data businesses can collect about their prospective customers, the more opportunities there are to gain actionable insights. But manually collecting and analyzing data can become a huge financial investment. Not only does it take a lot of time, but the path that turns raw data into an optimized advertisement passes through many key players, such as your CRM analyst, CRM manager, data scientists, web analysts, and PPC campaign managers. Predictive advertising overcomes this problem. Have a clear end goal for your data analysis, then you can define parameters to track and take action with the help of automation. This eliminates lengthy processes and the inevitability of human error to become more cost-effective overall. Predictive analysis is no longer in its infancy. Many platforms, tools, and agencies already use it to help businesses better advertise to the right audiences. Marketing automation platform Optimove uses predictive analytics to target current customers with product/service ads based on past behavior to drive conversions. Tapjoy uses predictive analytics to identify users who are likely to make in-app purchases then serve appropriate ads from app publishers. 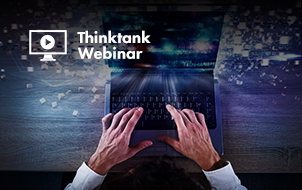 Adobe uses predictive analytics in its media-buying tools, including Adobe Media Optimizer, which is designed to predict campaign performance. Less than a decade ago, the consumer’s digital footprint was only valuable to the few businesses that operated in the digital space. 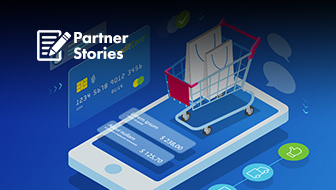 Thanks to the boom of e-commerce and the growing mobile demand of contextual, location-based services, nearly every kind of business can operate and promote themselves in the digital space. 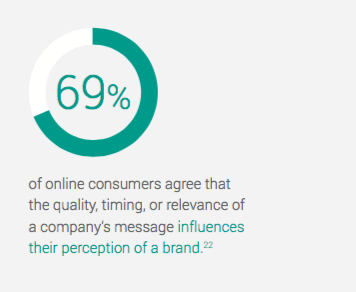 As a result, the insights gained from predictive advertising aren’t just relevant to digital goliaths like Amazon and Google. A one-man e-commerce drop shipping business, a freelance photographer or the coffee shop around the corner are all examples of businesses that can and should utilize predictive advertising to target the right audience at the right time with the right content on the right platform. 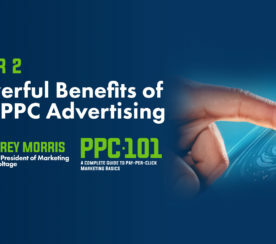 Using a PPC budget that fits your business size, you can optimize advertising campaigns across paid search, social, display and mobile. 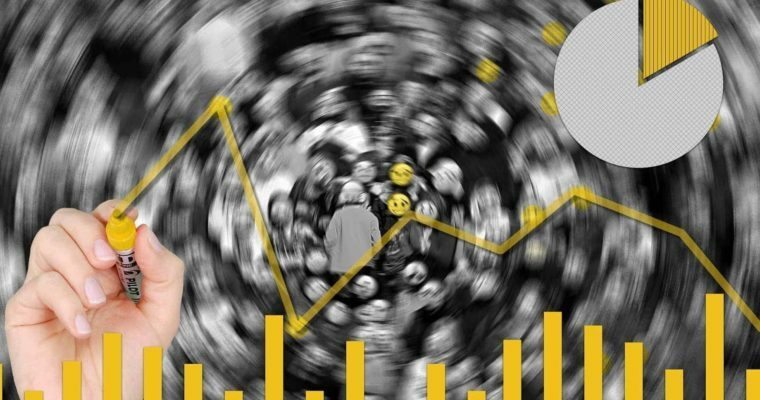 There are already plenty of tools out there that utilize big data, machine learning and statistical algorithms to identify better marketing insights than even the most esteemed data analysts. Any kind of business can start taking advantage of it today.